Investigators have examined acupuncture for the treatment of dry eye disease,1-6 glaucoma,7,8 retinitis pigmentosa,9 and age-related macular degeneration (AMD).10 I (D.K.D.) can trace my own interest in acupuncture’s potential ophthalmic indications back to 2004. After getting my department chair’s blessing to investigate the matter, my first step was to become a licensed acupuncturist through coursework at UCLA. Next, I founded the Center for Integrative Eye Care at the University of Pittsburgh. Currently, my colleagues and I are conducting a pilot study of acupuncture for the treatment of dry AMD. • The roots of acupuncture are ancient, but its mechanism of action is unclear. • Early results from a small pilot study suggest that this form of complementary medicine may hold promise for the treatment of dry AMD. Treatment involves inserting slender (0.12- to 0.35-mm) needles into the skin at specific points. In a typical session, the practitioner places needles in a set of acupoints that match a therapeutic goal. There are hundreds of acupoints in the body. Figure 1. Examples of types of acupuncture needles (A). Electrodes used in acupuncture therapy (B). Figure 2. Ear studs used in acupuncture therapy. Our pilot study of acupuncture treatment for dry AMD at the Center for Integrative Eye Care at the University of Pittsburgh has enrolled 10 patients. Each study participant underwent 10 acupuncture treatments within a 20-week period. Treatment involved insertion of fine needles in the hairline, scalp, and orbis (Figure 1A). The needles were connected to electrodes and stimulated with electric current for 30 minutes (Figure 1B). Gold semipermanent ear studs were also placed in select acupoints on the ears (Figure 2). 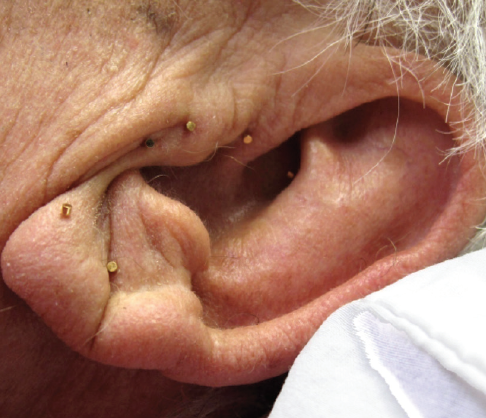 The needles were removed at the end of the treatment session, but the semipermanent ear studs remained in place; only those that fell out were replaced at subsequent treatment sessions. Patients were given handled magnets, which they used to stimulate the ear studs between treatments. Baseline testing included VA, color and contrast sensitivity, a quality-of-life survey, complete slit-lamp and dilated fundus examinations, and OCT. Testing was repeated throughout the study and follow-up period. Patients were monitored for 6 months after the completion of acupuncture treatment. No sham acupuncture group was included. We are currently collecting 6-month data on the last of these patients, after which we will commence data analysis. A few of the patients have experienced dramatic improvement, a few achieved minimal improvement, and some had no improvement. Importantly, acupuncture did not worsen anyone’s condition. 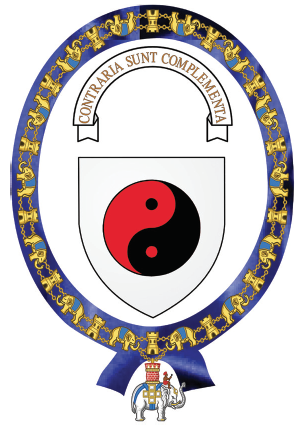 Traditionally, practitioners of Western medicine have been skeptical of Eastern medicine, but recognition of integrative medicine’s power and place is growing ever so slowly in the United States, as evidenced by the establishment of the National Center for Complementary and Integrative Health at the US National Institutes of Health. Acupuncture’s mechanisms of action are still poorly understood, but they may lie in decreasing inflammation and the sensation of pain through molecular pathways. Solid proof of acupuncture’s efficacy remains elusive because of the small number of randomized clinical trials, small sample sizes in studies, and lack of true negative controls. Few randomized clinical trials have used sham acupuncture treatment as a negative control, and it has been argued that sham acupuncture treatment itself can produce physiologic changes and thus cannot serve as a placebo control.22,23 Nevertheless, acupuncture’s relative safety and patients’ growing willingness to explore complementary medicine make the practice worth studying for the treatment of ophthalmic conditions. Our pilot study is small, and the results we have shared are early. That said, a positive development in the treatment of patients with dry AMD would be welcome. Traditional Chinese Medicine (TCM) provides a systematic and holistic approach to health and disease that has maintained its allure for modern scientific research. Within TCM, the principles of yin and yang represent countervailing and complementary aspects of physiology that are related, respectively, to inner and outer, contraction and expansion, dark and light. Practitioners diagnose imbalance and design therapeutic interventions based on ancient principles developed empirically over thousands of years. Treatment is individualized based on the patient’s constitution as well as signs and symptoms. For this reason, the application of clinical research principles to TCM is a challenge. 2. Escutcheons of Science. numericana.com/arms/bohr.htm. Accessed September 26, 2018. 1. Lin T, Gong L, Liu X, Ma X. Fourier-domain optical coherence tomography for monitoring the lower tear meniscus in dry eye after acupuncture treatment. Evid Based Complement Alternat Med. 2015;2015:492150. 2. Zhang Y, Yang W. Effects of acupuncture and moxibustion on tear-film of the patients with xerophthalmia. J Tradit Chin Med. 2007;27(4):258-260. 3. Grönlund MA, Stenevi U, Lundeberg T. Acupuncture treatment in patients with keratoconjunctivitis sicca: a pilot study. Acta Ophthalmol Scand. 2004;82(3 pt 1):283-290. 4. Gong L, Sun X, Chapin WJ. Clinical curative effect of acupuncture therapy on xerophthalmia. Am J Chin Med. 2010;38(4):651-659. 5. Kim TH, Kang JW, Kim KH, et al. 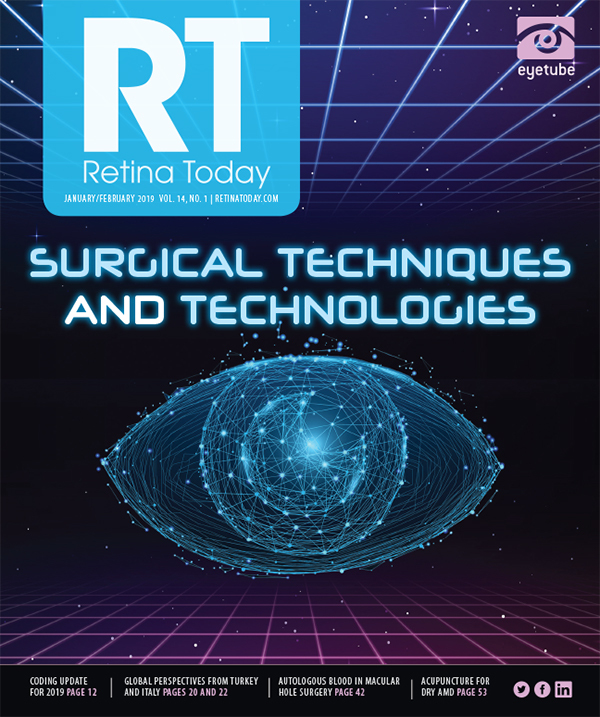 Acupuncture for the treatment of dry eye: a multicenter randomised controlled trial with active comparison intervention (artificial teardrops). PLoS One. 2012;7(5):e36638. 6. Nepp J, Wedrich A, Akramian J, et al. Dry eye treatment with acupuncture. A prospective, randomized, double-masked study. Adv Exp Med Biol. 1998;438:1011-1016. 7. Smith JR, Spurrier NJ, Martin JT, Rosenbaum JT. Prevalent use of complementary and alternative medicine by patients with inflammatory eye disease. Ocul Immunol Inflamm. 2004;12(3):203-214. 8. Law SK, Li T. Acupuncture for glaucoma. Cochrane Database Syst Rev. 2013:(5):CD006030. 9. Bittner A, Gould J, Rozanski C, et al. Visual function improvements following electroacupuncture for retinitis pigmentosa. Invest Ophthalmol Vis Sci. 2013;54(15):4017. 10. Lundgren AC. Medical acupuncture for age-related macular degeneration: a preliminary report. Medical Acupuncture. 2003;14(2):37-39. 11. White A, Ernst E. A brief history of acupuncture. Rheumatology (Oxford). 2004;43(5):662-663. 12. Ernst E. Acupuncture—a critical analysis. J Intern Med. 2006;259(2):125-137. 13. Oke SL, Tracey KJ. The inflammatory reflex and the role of complementary and alternative medical therapies. Ann N Y Acad Sci. 2009;1172:172-180. 14. Kavoussi B, Ross BE. The neuroimmune basis of anti-inflammatory acupuncture. Integr Cancer Ther. 2007;6(3):251-257. 15. Bäcker M, Grossman P, Schneider J, et al. Acupuncture in migraine: investigation of autonomic effects. Clin J Pain. 2008;24(2):106-115. 16. Nepp J, Jandrasits K, Schauersberger J, et al. Is acupuncture a useful tool for pain-treatment in ophthalmology? Acupunct Electrother Res. 2002;27(3-4):171-182. 17. Uchida S, Hotta H. Acupuncture affects regional blood flow in various organs. Evid Based Complement Alternat Med. 2008;5(2):145-151. 18. Kloth LC. 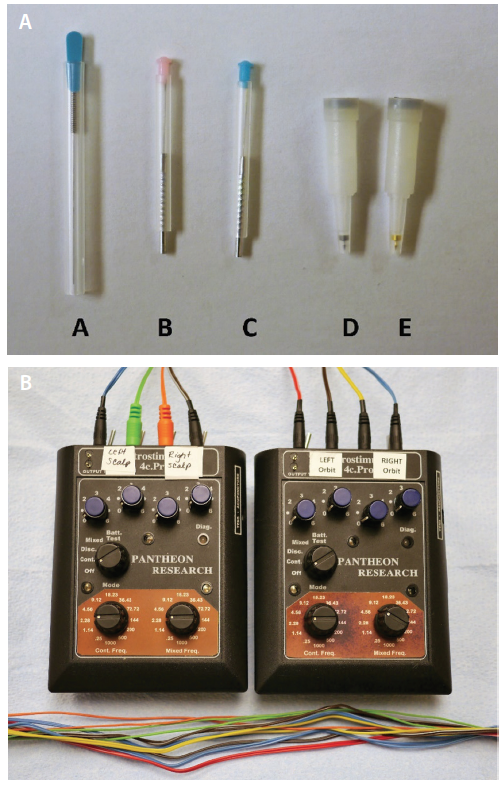 Electrical stimulation for wound healing: a review of evidence from in vitro studies., animal experiments, and clinical trials. Int J Low Extrem Wounds. 2005;4(1):23-44. 19. White A, Hayhoe S, Hart A, Ernst E. Adverse events following acupuncture: prospective survey of 32 000 consultations with doctors and physiotherapists. BMJ. 2001;323(7311):485-486. 20. Ernst E, White A. Life-threatening adverse reactions after acupuncture? A systemic review. Pain. 1997;71(2):123-126. 21. Witt CM, Pach D, Brinkhaus B, et al. Safety of acupuncture: results of a prospective observational study with 229,230 patients and introduction of a medical information and consent form. Forsch Komplementarmed. 2009;16(2):91-97.